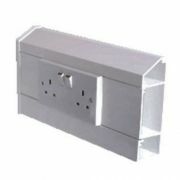 Below is our range of Perimeter Dado Trunking, otherwise known as Skirting Trunking - perfect for installation, as the name would suggest, around the perimeter of a room. 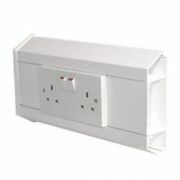 Choose your required dado trunking below, all of which are available in heavy duty but modern white appearance, and therefore can fit into the installation of any domestic home or commercial workplace.  As with all of our products, we offer a minimum one year guarantee on all orders placed online - and additionally, Free Delivery is provided as standard on orders above £49!